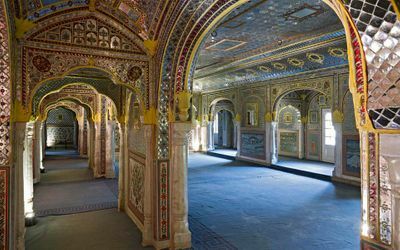 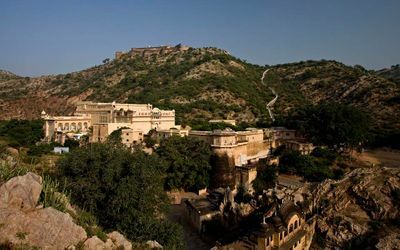 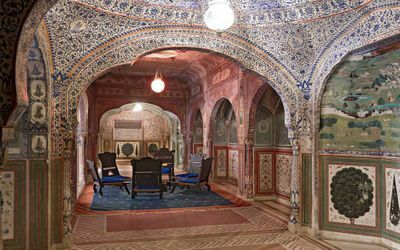 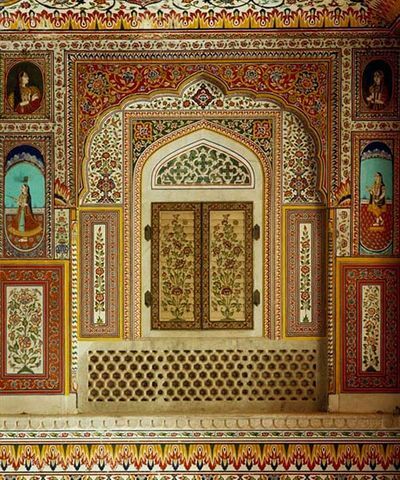 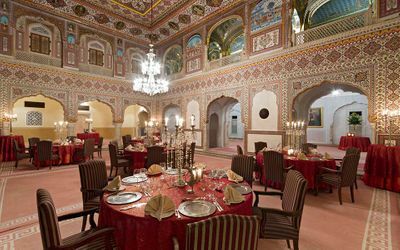 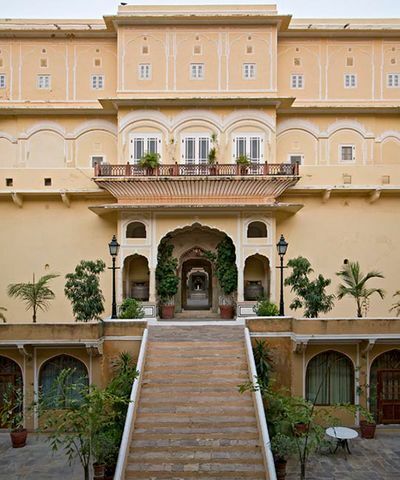 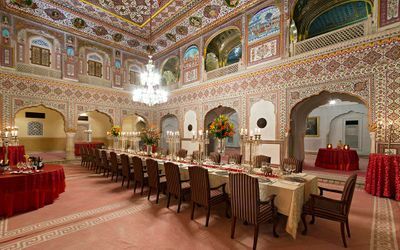 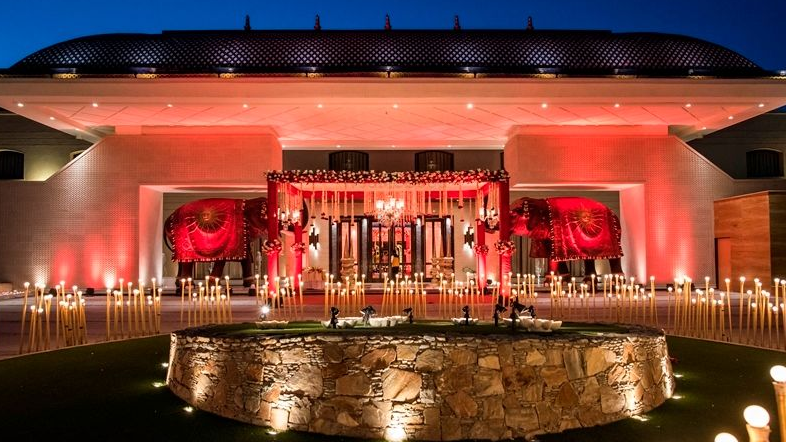 Located in Jaipur, 475 year old Samode Palace ensures that any celebration experience lasts for a lifetime. Clients can have a dream wedding at this place. 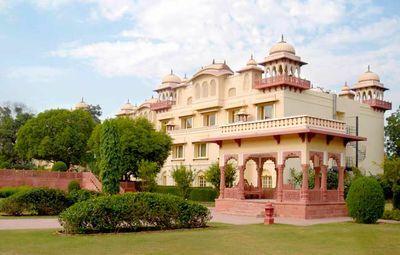 It has been a host to royalty, celebrities and artists. 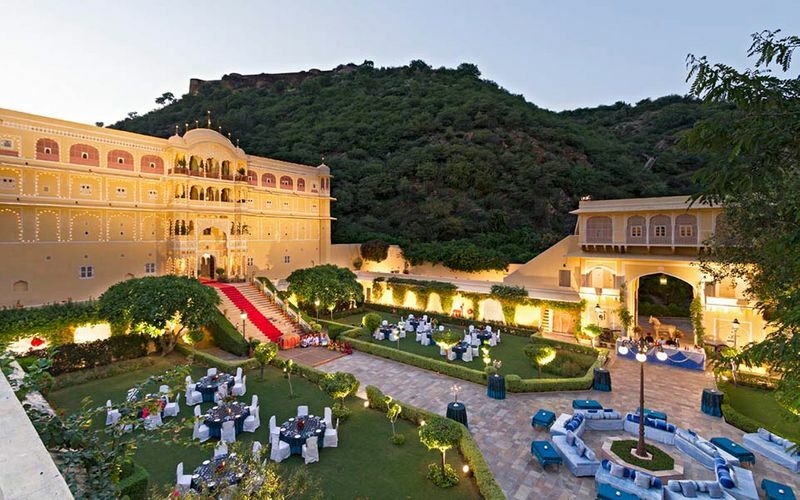 The wedding guests can have cocktail on terrace garden accompanying the folk musicians or enjoy spa therapies. 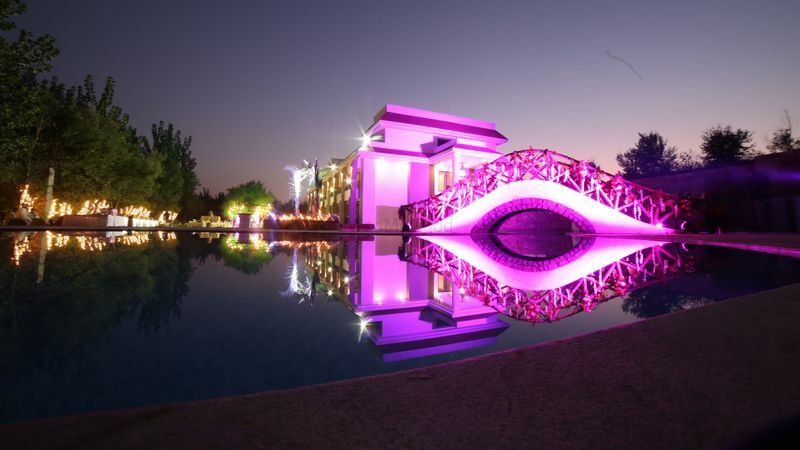 They can also swim in the clear marble swimming pool. 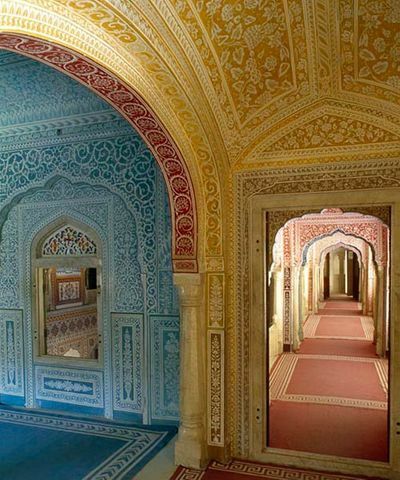 There are 43 rooms for guests. 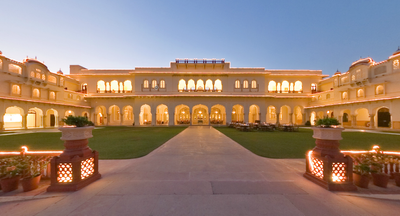 The rooms are elegantly and luxuriously furnished. 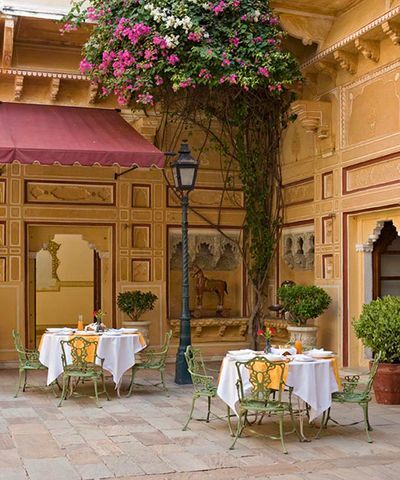 Dining restaurant offer Asian and European food. 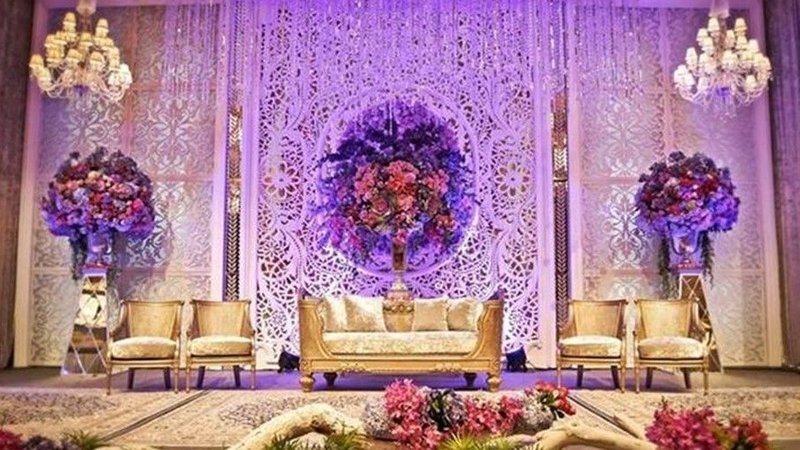 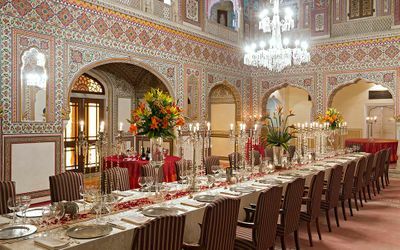 The palace can be custom ordered for weddings. 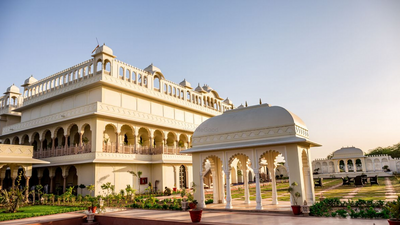 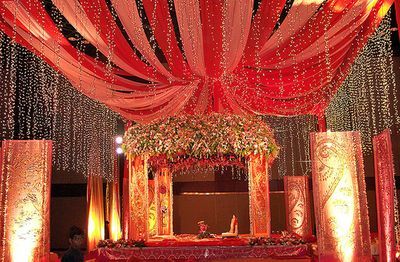 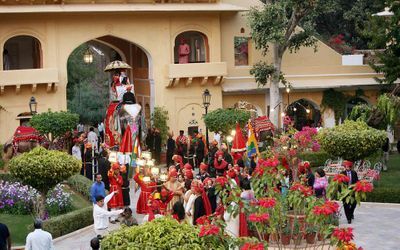 The clients can choose any theme and where their style is conventional or offbeat, formal or causul, Samode Palace always lives upto the expectations.